Limited financial resources couldn't stop these female kabaddi players from chasing their dreams and representing India. Coming from financially weak backgrounds and conservative families, they have undoubtedly made a mark for themselves in recent years. Coaches Neelam Sahu and Ajay Sahu have been training young female kabaddi players for the past 25 years at their New Delhi-based Palam Sports Club founded in 1995. They have trained around 300 players since then. Nine of them have gone on to represent India in various international tournaments and numerous others have competed at the national level. Neelam's first batch won the first national tournament in Amravati the same year. Since then, looking back has not been an option. The players, mostly hailing from remote villages and small towns of Delhi, Haryana, Uttar Pradesh, Bihar, Madhya Pradesh and Karnataka have appeared in national and international tournaments on multiple occasions. Neelam's protege Pooja Sharma was the member of the kabaddi team that won gold at the 2010 Asian Games in Guangzhou, China. 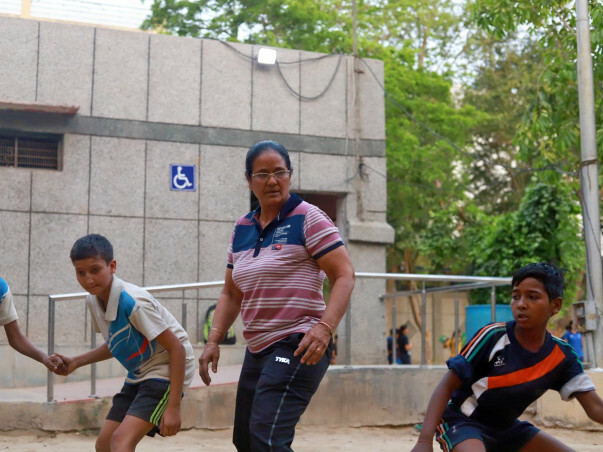 The Sahu's are now facing financial challenges and need your support to prepare an able female kabaddi team in India. There isn't enough money to buy a mat or mat shoes. A player’s diet, which comprises at least four glasses of milk each day, is also not met. While the amount of resources spent in building a strong team has been above par, the sports club and the players need more financial support to only get better. No matter what, they need monetary assistance for better meals, training equipment and transportation to multiple tournaments. All funds donated go directly to cover such important expenses. If you’d like to learn more about the coaches, the players, their achievements and the club, watch video given below. All the Best. More power to you! !